Are some truths worth risking your life for? What if it meant admitting your nightmares were real—and so were your delusions? Seventeen year-old Layla Labelle’s hallucinations have driven her to the brink—and she isn’t telling anyone. But when her dreams walk into her life in the form of Max MacLarnon, she is forced to rethink everything she thought she knew. Including whether or not Max actually exists. Learning the truth will mean fighting an arsenal of demons, and being with Max will put her on a path toward her own destruction. When Layla’s world erupts into a dangerous reality, and every fact of her life forsakes her, she must remember who, and what, she is if she’s going to stay alive. In a world where nightmares walk the earth, an ancient curse lives in an age-old legend the supernatural aren’t prepared to reveal. Layla will have to uncover the secret her ancestors are hiding, and make the biggest decision of her life—embrace who she is and follow the one she loves into a world of deadly myth and legend, or turn her back on her history, her destiny, and her love. 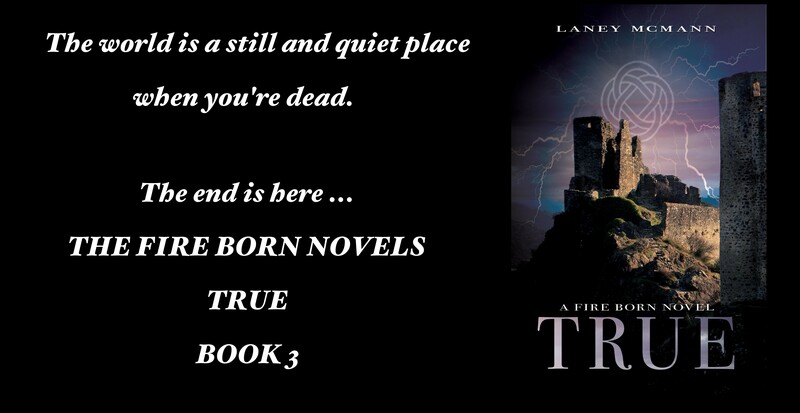 In TIED, Book One of The Fire Born Novels, what Layla and Max don’t know could kill them both. And unless they can find a way to stop the curse—the truth might tear them apart forever. How far would you go … to protect the one you love? 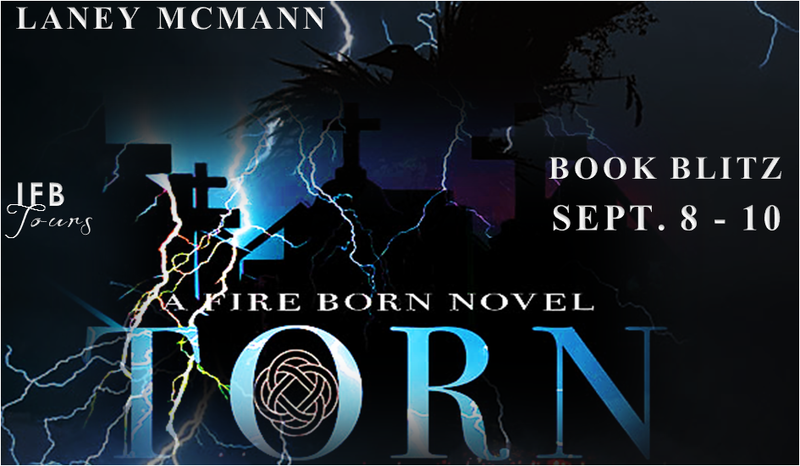 I wanted to post a quick update regarding The Fire Born Novels, my Young Adult Fantasy/Paranormal Romance trilogy. My publisher, J. Taylor Publishing has closed their doors. All of their titles are being pulled/or have been pulled from Amazon, Barnes and Noble, KOBO, and all other venues where books are sold. 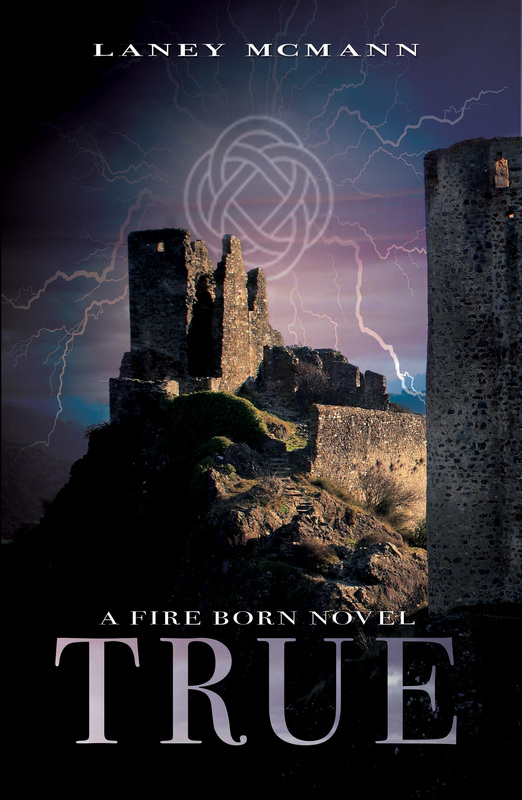 As of now, and over the coming days, as books are removed, The Fire Born Novels will no longer be available for sale. I wish J. Taylor all the best, and we part on good terms. Please stay tuned for future developments regarding the trilogy, including the re-release and new Cover Reveal of TIED, Book One. Since Max left, and joined his father in the Shadow Realm, everything in Layla’s life has changed. The Demon Gods threaten to destroy the Otherworld, and an inconceivable darkness has awakened—a darkness that wants control of Layla’s will. It also wants Max … dead. Not only must Layla face the true fire simmering inside her, but fight the one she loves most. And this time, with her friends and family left behind, she’s completely on her own. Xpresso Tours is also hosting the GIVEAWAY! 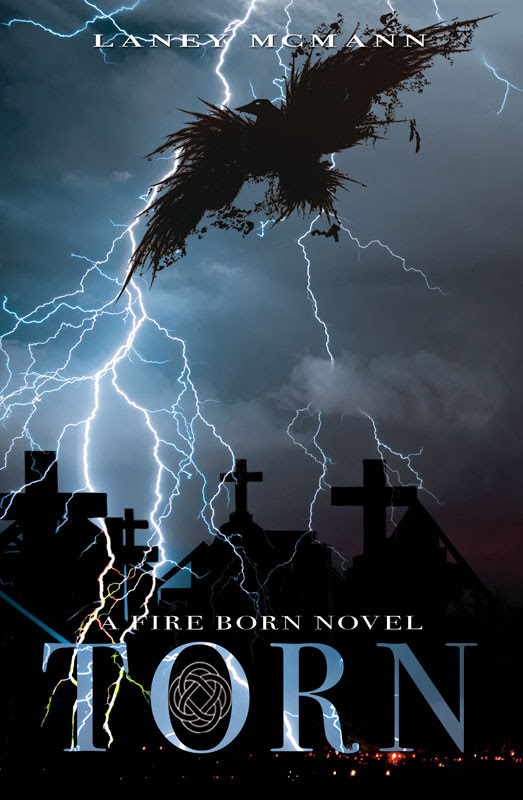 I am giving away the complete Fire Born Novels trilogy in paperback. A former classical dancer and chef, she grew up in sultry Florida where she still resides. Normal people don’t believe their nightmares stalk them. They don’t fall in love with boys who don’t exist, either. Seventeen-year-old Layla Labelle, though, is far from normal. Her delusions walk the earth. Her hallucinations hunt her, and her skin heats to a burn every time her anger flares. Or is that all in her head? Layla doesn’t know what to believe any more because if none of that’s true, Max MacLarnon must be an illusion, and her heart must still be broken. No matter how much she wants to believe Max is real, doing so would mean everything else is, too. How, then, is that possible? The answers lie in an age-old legend the supernatural aren’t prepared to reveal, and with a curse that could tear Layla and Max apart forever—if it doesn’t kill them both first. 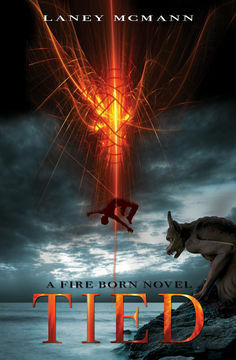 In TIED, book one in the Fire Born trilogy, learning the truth will mean fighting an arsenal of demons, and being with Max will put Layla on a path toward her own destruction. Just how far will Layla go to protect the one she loves? The answer may never be far enough … away. 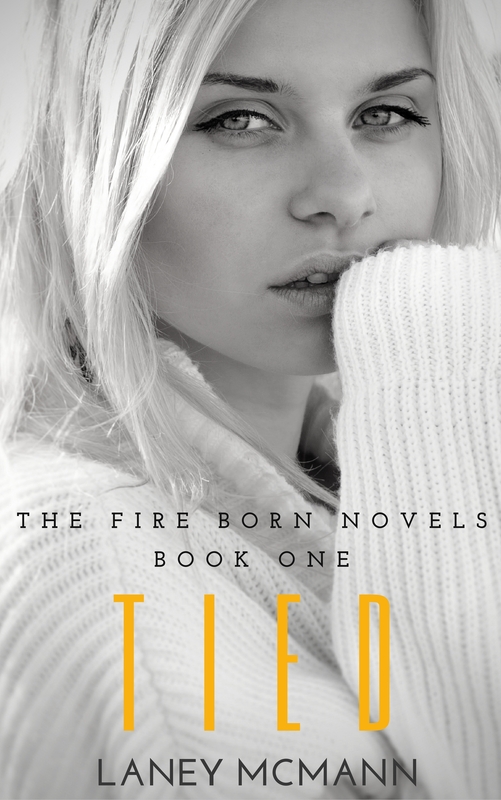 To celebrate the holiday season, I’ll be sharing the first few chapters of TIED, book 1 in the Fire Born Novels trilogy, over the next few days. I tiptoed up the steps to my house, the wooden planks on the deck creaking under my feet. Easing the backdoor open, careful to keep the hinges from squeaking, I brushed the sand off, and ducked in time to miss the new wind chime hanging from the ceiling. My mom wouldn’t be understanding if she found me sneaking in again, and I’d never been able to explain what kept happening to me. Creeping down the dark hallway, I dodged the night-light’s glow and crawled into bed. Five A.M. pulsed on my alarm clock, turning the white ceiling a fluorescent shade of orange. I stared at the light until my eyes watered, the weight of exhaustion blanketing me in a continual haze. I didn’t sleep. Not much, anyway. Staying awake kept most of the visions at bay—the ones I didn’t invite in, visions that used to wake me in the middle of the night in a cold, terrified sweat. I lay, staring blurry-eyed into nothing. The face I knew so well came into focus, and I smiled in spite of myself, knowing I should push the thoughts away—knowing I made myself crazy by thinking about him. I missed Max more than I’d ever missed anyone in my life. For years, I’d tried to will him to return. He never did. Max didn’t exist. Somehow, I’d created an imaginary life, and my heart ached for it. For him. I wiped the tears from my face, got out of bed and pinned down my mass of scraggly hair. The sound of my mother banging around in the kitchen reached my room, her percolating coffee permeating the air. The aroma, I loved; the drink, I didn’t. Bare feet peeked under the refrigerator door as I rounded the corner into the kitchen from the stairs, our cat meowing hungrily at the hem of my mother’s pink bathrobe. “You’re continually trying to convince me of that, but …” She shook her head, eyes cast down toward my clothes. “She didn’t say. I asked her to come in.” My mom shrugged and began unloading the dishwasher. I opened the front door, but before I could leave, my mom rushed up behind me, breathless. “You forgot your juice.” She held it out, tucking stray hairs behind my ears and smoothing out my bun before shaking her head. Thick early morning air hung on my clothes as I walked outside and found Benny dancing in the driveway next to my car with her iPod blaring. “I was supposed to pick you up,” I said. She pulled her ear buds out. “What? Oh, yeah, I know.” She smiled and slid into the passenger seat of my nineteen seventy-seven AMC Gremlin—rated nineteenth out of fifty of the worst cars of all time. I slung my dance bag into the back seat and climbed in after her. The car stalled twice before it started, the engine screaming like a cat caught in the fan belt. I gunned it out of the driveway, afraid it would cut off again, spinning my tires and throwing gravel everywhere. “In a hurry?” Benny clipped her seatbelt, eyebrows raised. “No.” I avoided her gaze and turned out onto the road. “Why so grumpy?” She tilted her head. “Why so cheerful?” I rubbed my eyes. “What’s up with you, Layla? You’re like the walking dead these days. I don’t see one speck of green through all the red in your eyes. Your clothes are all random, too. Did you roll out of bed and get dressed in the dark?” Her eyes made an up and down movement as if scanning my entire body. Next to me, Benny resembled a walking ad for Capezio with her perfect pink tights and her hair tucked into a flawless bun. I leaned over and cranked the portable satellite radio—the only decent feature about my car—in an attempt to drown out any further conversation she might try to start. Benny gave me the sideways glare as M83 blared through the speakers. I took the warning as, ‘You better be taking care of yourself, or I’ll take care of you’, as she turned the volume down. “I’m fine. Drop it.” I turned the music back up. I didn’t need to hear how awful I looked. I knew. She eyed me again and scrolled through the songs on her iPod before shoving her ear buds back in and hitting play. We drove down US-1, along the coast to school, crawling at thirty-five miles per hour due to tourist season. The blustery weather from the night before had all but vanished, leaving a calm gleam across the surface of the ocean. Devon flew past us, music blaring, and waved out his open window. We only had a couple weeks until summer break. After that, our senior year would begin, and the sizzle in the air was like a live wire. “Your boyfriend is going to get pulled over one of these days.” Benny mumbled under her breath, crossing her arms over her chest. I ignored her, focusing instead on reaching my goal— Historia Performing Arts School. The only one of its kind within a hundred mile radius, it was the reason we lived in Historia. I’d been dancing as long as I could remember, and my mother made sure it was a part of my everyday curriculum. Not that I minded. Dancing had become my life, but more than that, it had become my escape. Our high school appeared to be as old as the city itself, which was founded sometime in the late sixteenth century. The building resembled a crumbling stone castle—which I supposed it was in its original state. Although beautiful in its own way, the deep cracks snaking through the walls made it eerily decrepit. Beyond the football field were endless views of the ocean, but unfortunately, those views didn’t extend to many of the classrooms, most of which had oddly high windows and drafty undercurrents. I imagined them as dungeons hundreds of years ago. Live oaks dotted the massive campus lawn, and every year, at least one tree would inflict some sort of damage on the school during hurricane season. A thousand pound limb might crush the side of a building or an entire tree might fall on an old artifact. It was always the same, but they never cut those trees; they were as important as the buildings themselves. My mother even sat on the historic preservation board for the city, which had control over the school. I never understood why she got involved, considering she didn’t attend any of the meetings. She just insisted the school be maintained in its near original state, which meant it was in constant need of some kind of repair. Why the school heeded her rules, I had no idea. The student parking lot filled as the warning bell rang. “Took you long enough.” Devon opened my car door, a mocking grin on his face. “She’s … tired.” Benny answered before I did. She’d been my best friend all my life, and she was fiercely protective of me. The same way my mom was. It was annoying. Rolling my eyes at her, I grabbed my stuff from the back seat and started the walk towards the dance wing, sick of all the remarks, her questioning glances, and Devon’s constant worrying. They climbed the hill after me. Whispering. Surely discussing their newest concern. “For what?” I shouted and turned around to find Benny with her arms on her hips. “No one’s going to steal it. Look at it.” I pointed to where my car, the Grim as Benny liked to call it, sat parked. It was the color of mud and looked like a semi-truck had smashed into the tail end of it at about ninety miles an hour. It had bug-eye headlights and a thick faded orange stripe running up each side toward the hatch-back where it flared out in three smaller stripes. The makeshift convertible top the previous owner had attempted to rig himself was so loose it barely kept the rain out. No one in their right mind would steal it. I turned my back on both of them and continued the climb across campus, sighing as they continued to whisper. I knew my behavior was upsetting them—my angry outbursts—my temper spikes, especially since I’d stopped trying to control them all the time. No one, though, was aware of my visions, or whatever they were. The more I tried to understand them, the more confused I became. The angrier I became. I’d tried to block the thoughts, to push them away and ignore them all, but years had passed since my last cherished memory, or what I’d hoped with all my heart was a memory. For six years—since I was eleven—I’d seen strange, unexplainable things. After bringing up Max’s name so many times that my mother threatened to send me to a psychologist, I’d stopped asking about him—stopped talking about him altogether. Even worse, I could only remember pieces of my past. While other kids recalled skinned knees and sleepovers, I conjured up snippets of voices and muddled colors. Besides my mom, Benny was the only constant in my life, and even memories I knew I had to have had with her were sometimes impossible to call up. I didn’t understand it. Who doesn’t remember the majority of their life? My shoulders relaxed. “I’m tired. Benny was telling the truth.” It’s only a small lie. I nodded, giving him a half-smile. “Meet you at lunch.” He kissed me on the cheek and ran off as the second bell sounded. As sweet as Devon was, he would never understand me, and sometimes, knowing that, made everything worse. All the other dancers sat in huddled groups on the scuffed wood floor of the studio as I walked in. The morning light reflected off the floor-to-ceiling mirrors, casting tiny rainbow prisms along the walls, as the stench of sweat hung in the still, thick air. “Shh! She’s right there.” Dena, my understudy for the spring show of Sleeping Beauty, sat across the room. She dropped her stare when my gaze met hers. We’d been through the same dancing drill together for years. Same classes. Same performances. Her disdain for me was known. She twisted her hair into a knot at the back of her head, obviously pretending I hadn’t busted her running her mouth again.Between dancing as my understudy, and me dating Devon—the only boy she ever ‘truly’ liked—her hate was ingrained. Not that I cared. “Places along the barre. Quiet down. First position please.” Ms. Trudy clapped her hands together. “And one, and two, and three. Chins up, heads high, shoulders down,” she said in time with the classical music.The steady repetitive rhythm, the music I’d known all my life, the same low droning chant of Ms. Trudy’s voice, all of it fell over me. Ms. Trudy made her rounds, checking everyone’s form, making corrections. Sunlight shone through the high windows in cascading sheets, its warmth touching my face. I closed my eyes, raising my head to meet its heat, my grand plies repeating in perfect unison, and let the slow music take over. “Nice, Layla. Very nice.” Ms. Trudy’s voice rang out right before it faded. The sun blazes through the tree line, and Max paces in the underbrush, halfway hidden by thickets and shadows. “Where have you been?” He rushes forward. “Benny was on alert all morning. She’s been setting traps to catch me,” I say. “Maybe you should go back.” He drags a hand through his hair. “Go back?” My arm drops, leaving my shirt covered in little green specs. “I . . . I don’t want you to get in trouble.” He averts his gaze. “Since when are you worried about me getting in trouble?” I ask. “Never mind, it’s nothing.” His smile is fake. I’m not buying the mock reassurance. “I told you. Nothing.” He shoves his hands in his pockets. Lifting an eyebrow, he grins. “Race you to the falls.” He crouches forward like a cat ready to pounce, hands resting on his knees. “No?” He takes off running. I catch his hand as he turns and catapult myself past him. I laugh, as he runs up behind me, his breathing steady. Our pounding feet sink in the thick wet grass of the open field. Max is taller than me, with longer legs, but I’m faster, and he hates it. The rush of crashing water leads us to the ledge, each of us pushing harder to stay in the lead. “Don’t jump, Layla!” He reaches out. I catch it in mine and pull us both off the ledge in a blind leap. We plummet into the depths of the waterfall, Max‘s hand gripping mine. As our heads break free of the churning froth, he lets go, splashing me in the face. “For getting here first.” As he shakes his sandy brown hair out of his face, droplets of water run down his golden skin, and the corner of his mouth lifts in a grin. I splash him again and swim to the edge of the pool, climbing onto the bank in dripping wet clothes. “Yeah.” I lean back against a gardenia bush covered in pure white blooms, their rich sweetness intoxicating the air. “I know that. You’re acting so weird today.” I nudge his shoulder, and say, “Beat you to the ledge again,” and spring to my feet, leaving him sitting on the bank. “Layla!” He races after me. ”Wait!” Grabbing me around the waist, he sends us both over the ledge in a tangle. “What are you doing?” I shove him as our heads rise above the surface. Distant footsteps approach, crunching through the crisp leaves on the forest floor. Voices reach us. My mother walks through the forest, her sister at her side. “Warned him?” my aunt asks. “Once the truth of the children’s existence is revealed, my simple curse will no longer matter. I will be hard pressed to keep our enemies at bay.” My mother wrings her hands. “Layla, please. For me. Go back now. Stay safe.” He pulls me into a hug before standing. “But . . . wait.” I reach for his hand. I sit alone with only the sound of water splashing against the cliff. “Who else would I see? You’re in my face.” I shielded my eyes from the light’s glare, the vision reverberating through my mind. The same vision I’d seen a hundred times before. The one I thought had to be a memory but knew couldn’t be. The vision that made my heart ache as if it were being ripped out. A crowd of dancers hovered around me, all gazes fixed on me as I hastily wiped my damp eyes. What did I do? “I told you she was crazy,” Dena said. “Shut your mouth, Dena, or I will.” Benny’s threat came out calm and controlled. “Let me up,” I said. The chill from the air conditioner, and Ms. Trudy’s jasmine perfume, sent shivers up my spine and made me want to gag. “No, ma’am, I’ll stay.” Benny’s tone was unthreatening but firm and Ms. Trudy didn’t argue. “I’m okay, Ben, really.” My voice, on the other hand, must have given her the impression I wasn’t because she tightened her grip. “Sit down for a few minutes until you compose yourself. I’ll get you some water.” Ms. Trudy headed down the hall, wringing her hands. “What happened?” Benny hissed under her breath after Ms. Trudy rounded the corner. “Yes, ma’am.” Benny tugged on me as though I was five years old. “I can walk on my own.” I pulled my arm out of her grasp. “What’s that supposed to mean?” What does she mean by that? She stomped passed me. “You’re going to give me a heart attack, I swear.” She ranted along under her breath and disappeared inside the dressing room. I tried my best to control my trembling limbs. If Benny thought I was in a panicked state, I’d end up at the E.R. with her hovering over me. Hallucinations at school weren’t something that had happened before, and I’d never passed out. Ever. Not that I should have been too surprised. What should I have expected after having become a semi-insomniac? I pushed the vision into the depths of my brain, shook off the eerie chills that accompanied it, and made Benny promise not to tell Devon what happened. Devon tracked me down in the outside courtyard during study hall. Benny, unable to keep her mouth shut, had spilled the truth. “I’m fine. Benny’s overreacting.” I glowered at her where she sat with me at a table. “Scoot over.” He nudged my shoulder and slumped down. “Don’t scare me like that again.” He huffed, his breath still ragged. “I told Benny not to tell you.” He stopped breathing altogether and glared at me. I didn’t say anything else. During lunch, Devon asked the cafeteria lady to create an ice pack out of zip-locks and paper towels, after I’d refused again to go to the nurse. He held it on my head himself. Between him and Benny, I was lucky not to have been admitted to the hospital. I poked around at my pizza—usually my favorite, but my appetite seemed to be lying on the floor in the dance studio. The cafeteria, my least favorite place in school, made my stomach turn. Not to mention the inescapable deafening high school drama prattle. I’d never been that girl who attended every football game, and cried on the last day of school because summer break meant three whole months away from the cheerleading squad. I wanted out of high school. I squinted through the cafeteria window, bringing the ocean into view in the far distance, and pretended to listen to the sound of crashing water, to block out all the lunchroom noise. “I’m not hungry, anyway.” I shrugged, looking up at him. Dark brown hair framed his golden eyes, a sheepish grin playing at his lips. “Listen, don’t worry about helping at the shop later.” He raised the ice pack to my head again, and I swatted it away, while Dena, across the cafeteria, sat glaring in our direction. The little clan of cliquey chatterboxes at her side followed her lead and turned toward us. The sight of Devon doting over me had to be too much for her. She tossed her long dark hair behind her shoulder, her black painted nails glimmering under the fluorescent lights. It seemed like only yesterday that she ran barefoot and played baseball better than anyone. Then again, I remembered so little, maybe she’d always been that way, and my deluded brain had it all backwards. “I said I would help. I’m helping.” I spoke to Devon, not breaking my eye contact with the one who had nothing better to do than stare at me. “You passed out.” She kept her voice low, head turning as if searching for something. “So?” Truthfully, I would rather have gone home, but giving Benny a reason, any reason, to believe something was actually wrong was a bad idea. I’d rather suffer than have her pamper me. Devon was already taking care of that. “So? So . . . you will be the death of me, Layla LaBelle, I swear.” She stomped off, throwing the note in the trash as she went. The rest of the school day, I spent in a dazed stupor. The custodian had to cut the lock off my locker because I couldn’t remember the combination, and I laughed out loud when Mr.Jones, the Algebra teacher, asked me to solve a quadratic equation on the white board for the class. Algebra. What a waste. Who, ever, uses algebra after high school? If my school didn’t have a Performing Arts program, I probably would have ditched every class. My head pounded by the time I pulled into the parking lot of the shop where Devon worked. A giant sign above the door read: ‘TOURISTS WELCOME’ in bright blue letters, reminding me of Bike Week in Daytona, Florida, where all the businesses felt compelled to remind everyone that ‘Bikers are welcome’, as if, for some reason, they wouldn’t know without the signs. Tourist season was the money maker in Historia. With the colleges, beaches, and historical sights, the city had a natural pull. I stifled a yawn. “You’re welcome. It’s no problem at all.” I wasn’t the best person to help at a retail store, due to my lack of interest in customer service, but I said I would, so I did. “Starting?” I walked away before he could continue. He shook his head and wandered off toward the display cases. I squatted down behind the counter, digging around for a magazine to read, and rested my throbbing head in my hands. The entrance bell chimed on the front door, and I popped back up, wobbling slightly. Blood sped through my veins as I gripped the edge of the counter, gazing into the face I knew so well. A shadow of confusion crossed his expression as he stared back at me before the corner of his mouth drew up in a slight grin, and my face flushed with a burning heat. Goosebumps shivered down my arms, the air seeming to quiver with a faint breeze. “Layla, are you okay?” Someone shook me by the shoulder. “Layla?” Devon’s voice rang from far away. I tried to speak, but words wouldn’t form. I remembered his face, the waterfall, the forest. The warmth of his hand in mine. Droplets of water cascading down his golden skin. His eyes reflecting the sunlight like crystals. The rush of wind as he ran beside me. His laughter. The sound of his voice when he called my name. “Max …” I strangled an inaudible whisper, unable to breathe, consumed by the light in his eyes. “Lay.” He stared back at me, seeming unable to move. He couldn’t be real. I swayed, my eyes rolling upward, and dropped to the floor. My window opened easily. The same way it had so many times before. Climbing out on the ledge, I found the ground empty and dropped from the second floor—a jump I’d made a hundred times. In another life. My feet sunk into the sand, and I followed the well-worn pathway through the dunes. Even the strong evening winds hadn’t misshaped the deep gully. The ocean’s breeze lashed at my hair as the moonlight glinted off the water’s surface. Seagulls flew up from their nesting grounds. They should have recognized me, since I’d been wandering at night for so long. Wrapping my arms around my knees to block the slight chill, I settled in the sand, and the birds quieted in a tight huddle, the wind blowing their feathers in awkward angles. My gaze fell on a figure standing beyond the dunes edge, a shadow hidden within the darkness. My pulse quickened, but I didn’t move. Another trick—an illusion. 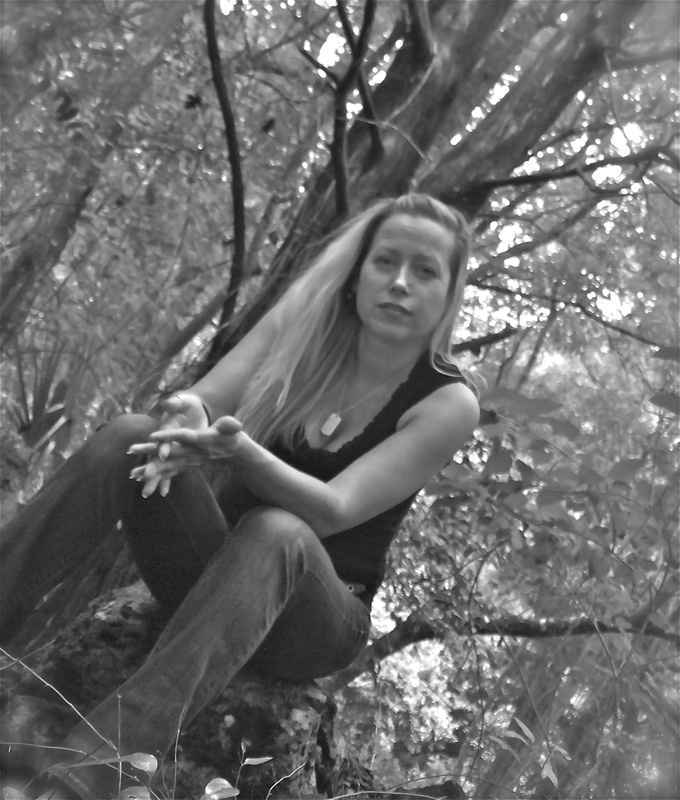 Weary of the games my mind continued to play, I bit back tears and the catch in my throat. I should have been immune to them—the hallucinations—the way they haunted me and followed me, but I wasn’t. they were, but only people who sleep dream. Unable, or unwilling to stop myself, I glanced back over my shoulder, thoughts flooding my brain. Memories I knew couldn’t be memories but I cherished all the same. For years I’d tried to shake them away. To make myself forget. I couldn’t. A stone raps against my bedroom window. I creep over and peer through the blinds. “You’re late.” I lean out over the sill, grinning at the boy staring up at me. “Come on, let’s go before she comes,” he says. “Okay. Jump.” He waves at me to go faster. “Move, and I will.” He takes one casual step to the side. The jump isn’t too high; I make it all the time. He grabs my hand when I land beside him in the soft sand. “Three!” Max and I leave the ground. “You’re going to get in so much trouble.” Benny’s yell rings in the distance. Our feet touch down in the wet grass of the Otherworld, icy sea air whipping at my face. “Hopefully, she won’t follow us again.” Max lets go of my hand. “She won’t. I told her not to.” I lead the way down the cliff face to the ocean. “She never listens to you.” I glare at him and keep walking. “Wait.” He scrambles down the path after me, losing his footing on the rocks for a moment before he catches himself. I reach for his hand, my fingers brushing over the leather bracelet wrapping his wrist—the one that matches my own. “Let’s go see if the water spirits are out.” Pulling him beside me, I run through the last stretch of pebbles to the sand. “The Merrows don’t like to be gawked at. Let’s do something else.” He tries to yank his hand away, but I tighten my grip and hold it in place. “You chose last time. And who said you were the youngest? Anyway, the Merrows hate us. Let’s do something else.” He trudges along behind me, pouting. My laughter rings on the wind. The sting of loss reverberated in my chest as the chill of night air seeped into my bones. I opened my eyes to the darkened shoreline and glanced again toward the dunes. No shadow remained. No one stood watching me. I had lost my mind. #TeaserTenth is a monthly meme for writers, both published and unpublished. It’s a great opportunity to meet other writers, as well as readers, by sharing a sampling (10 lines or less) of the stories we are working on, or have already published. Today I’m sharing lines from TIED, the first installment in the Fire Born trilogy, published September 2013. My gaze fell on a figure standing beyond the dunes edge, a shadow hidden within the darkness. My pulse quickened, but I didn’t move. Another trick—an illusion. Weary of the games my mind continued to play, I bit back tears and the catch in my throat. I should have been immune to them—the hallucinations—the way they haunted me and followed me. I wasn’t. Forcing myself to blink, I turned my head away. The visions had grown worse as I’d become older. I’d tried to convince myself they were nightmares—or weird dreams. Hoped for years they were, but only people who sleep dream. And thank you to J.A Belfield for creating the meme! I will be giving away copies of both TIED & TORN on Goodreads for the holidays. Check out the details and enter below! Giveaway ends December 12, 2014. ******The Giveaway has ended, and I will be announcing winners in the next few days. Week TWO starts today with Ever On Word.